You always wonder where John Kerry the anti-Vietnam War activist went, who compared the US campaigns in Southeast Asia to the predations of the Mongols. It turns out he is still in there somewhere, just not allowed to appear before the cameras. But in a ‘hot-mic’ moment on Fox on Sunday, Kerry appeared to reference the Israeli massacre at al-Shuja`iya in Gaza by Israeli planes and/or artillery, which left 60 dead & 200 wounded. 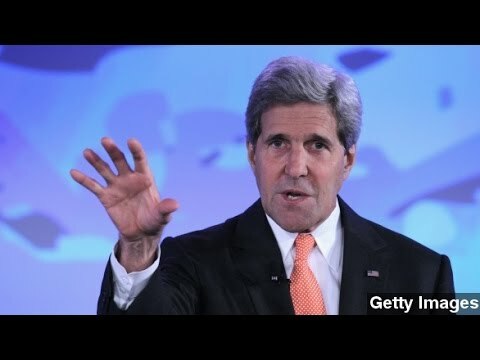 Kerry called sardonically “a hell of a pinpoint operation.” His reference is to Israeli propagandists who keep saying that Israel’s airstrikes in densely populated Gaza are “precision strikes” when very obviously they are massive and indiscriminate, having killed over 500 as of Sunday night, over 70% of them noncombatants, including women and children. Although Hamas, the combatants, are fair game, the noncombatants are not. Israel doesn’t get off the hook by saying Hamas uses human shields. First, most of those people Israel killed were not being used as human shields. Second, international law forbids military commanders to strike if it seems likely they will kill a lot of innocents. Kerry’s exasperation with Israeli brutality is shared around the world, though, as with Kerry, most public figures won’t express it in the open. But some politicians and celebrities are daring to speak out. British deputy prime minister Nick Clegg accused Israel of a “deliberately disproportionate” response to Hamas. 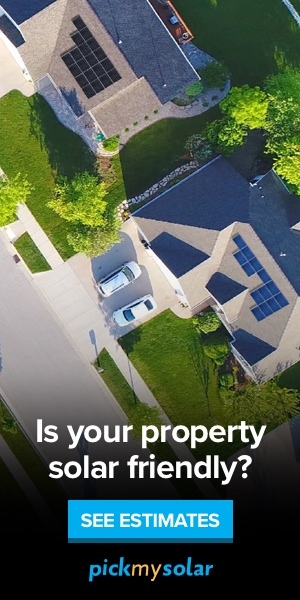 That would would be a war crime if true. Channel 4’s Jon Snow asked an Israeli spokesman all those same questions everyone else would like to, including why in the world Israel is bombing hospitals and old people’s homes and whether there is something wrong with their equipment or whether they have simply decided to commit war crimes if that is what it takes. Compare Snow’s actual journalism with any anchor on US network news and it is American journalism that stands shamed. Some resorted to the tactic of tweeting “Free Palestine” and then deleting the tweet, claiming it was all a misunderstanding. This was the path chosen by Rihanna and Dwight Howard. Rihanna is from Barbados and has Third-Worldist sympathies, occasionally deploying Arabesque imagery in her music videos. But of course when you say “Pray for Gaza,” you have chosen sides, since the Israeli right wing is fighting this war in part to crush Gaza further. 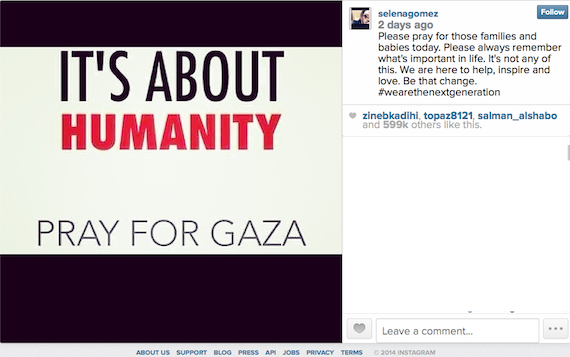 Gomez’s hashtag on this post was #wearethenextgeneration and I think she got that one absolutely correct. The Millennials are a new generation with their own perspective on world affairs. They’re less interested in organized religion than their elders. In the US, they are substantially less Northern European in their heritage and tastes (this is also true in France e.g.) The Millennials have only seen the 2006, 2008-9, 2012, and the current wars, in which Israel is the superpower and its opponents lack tanks, artillery or planes. Palestinians in such an encounter look like the underdogs, not a powerful threat. I don’t think the Israeli leadership has the slightest conception of how the tide is turning against them over their colonial policies and tactics.